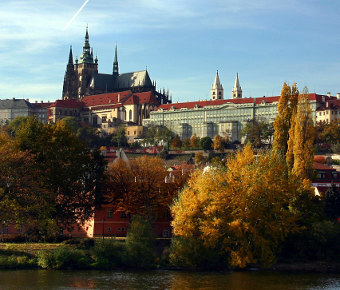 The Neural Coding: Information Beyond Shannon workshop will be held in Prague, Czech Republic, during July 3-4, organized by Institute of Physiology, Department of Computational Neuroscience, Academy of Sciences of the Czech Republic and the local organising agency CONFORG, Ltd. The workshop will be an interdisciplinary event centered on the applications of information theory to various scientific problems, especially in the area of bio-inspired information processing and neuronal coding. The goal is to bring together researchers with different original backgrounds (information theory, physics, biology) but common interest in information-theoretic methods. As in the previous workshops in Orlando, USA (2005) and Venice, Italy (2008), plenty of time will be left for informal discussions. 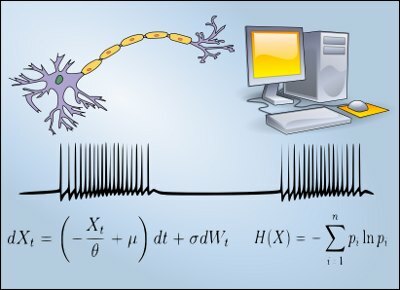 What can information theory tell us about information processing in neurons? Influence of environmental statistics on information coding in sensory neurons. Noise and its role in neuronal coding. The main impact of the workshop lies in the distribution of ideas and approaches that, although applied to different systems, share the common language of information theory. 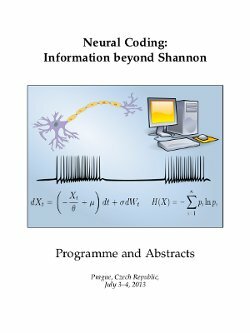 In particular, we believe that the computational neuroscience community has not yet fully benefited from the richness and generality of information theory as originally proposed by Shannon himself. Consequentially, workshops of this kind have the potential to change the perception of certain topics and perhaps, hopefully, provide solutions to some of the long-lasting questions in neuronal information processing. Pariticipation in the workshop is by invitation only, although a limited number of seats might be available. The contributors (see the Programme), are kindly asked to send the title, author(s) and a short summary of the talk to kostal@biomed.cas.cz. There is a minimal registration fee, most of the expenses will be paid by the conference sponsors. The registration fee 100 EUR (or equivalent in other convertible currency) will be collected in cash at the beginning of the workshop or can be paid by a bank transfer before the event. The fee covers: workshop materials, two lunches, coffee-breaks, the conference dinner (July 3) and the accommodation of participants (single room) at the venue for the night before (July 2-3) and the night during (July 3-4) the meeting. Prague is served by the Vaclav Havel Airport, which can be easily reached directly or from popular gateways to Europe including London, Paris, Amsterdam, Frankfurt, Zurich, Helsinki, Rome, Dubai etc. To travel from the airport, it is possible to use either the public transport or the official yellow AAA Taxi service (the stand is located in the airport hall). In addition, trains and cars can be used from nearby cities such as Berlin, Vienna or Munich. The public transport is being recommended to move around Prague. It is quite reliable and safe. Although the official currency in Czech Republic is still the Czech Crown (CZK), it is possible to pay in EUR in bigger shops and most hotels and restaurants. The workshop will take place in a small hotel in the art-deco style, located in the quiet villa quarter of Prague 4. Accommodation of participants in the venue is covered by the registration fee for two nights: before (July 2-3) and during (July 3-4) the meeting. All lectures will be held in the conference room of the workshop venue. Except for the keynote lecture, each talk is allocated a 25-minute slot (including discussion), there are no posters.